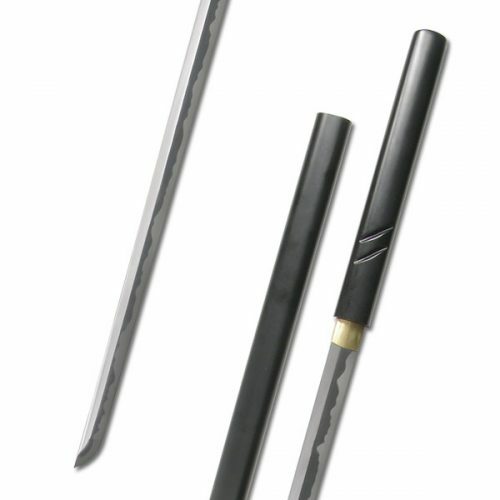 The Honshu Boshin Double Edge Sword fuses tradition and innovation to yield a masterwork of modern sword design. 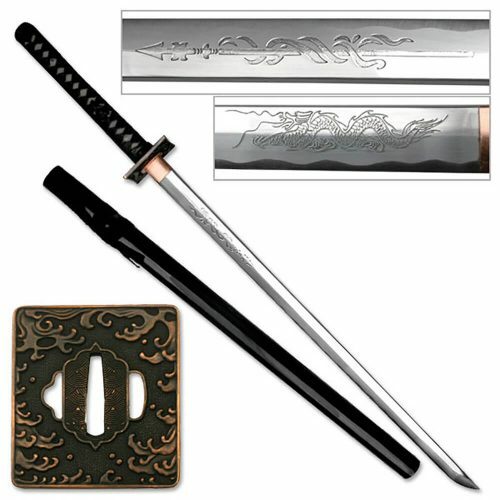 The Honshu Boshin Double Edge Sword fuses tradition and innovation to yield a masterwork of modern sword design. 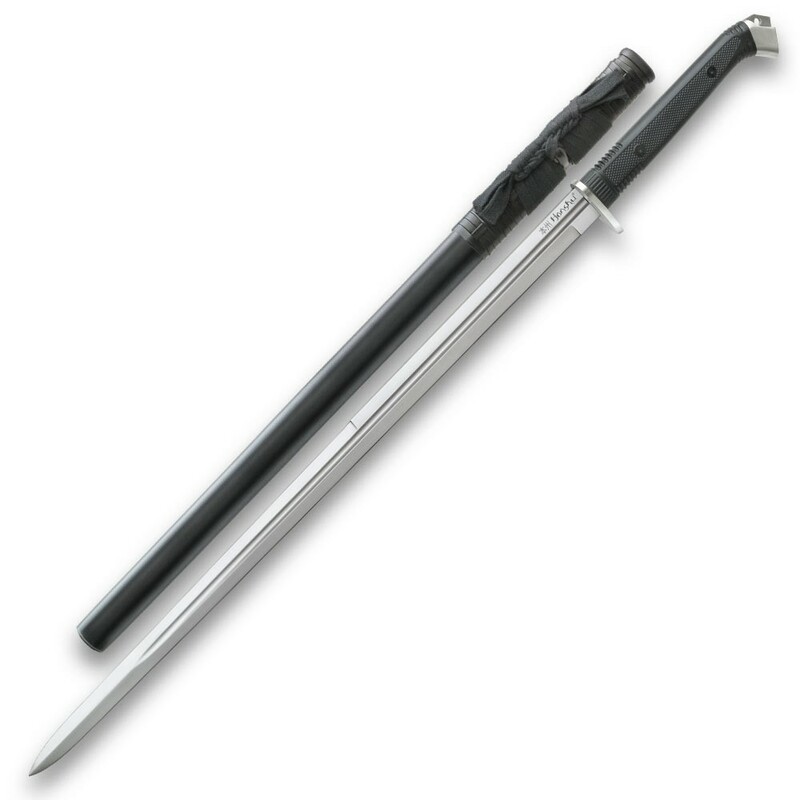 The sword boasts a 30 1/2” 1060 high carbon steel blade that’s unrivaled in sharpness and strength. Trading traditional trappings for sleek contemporary style, the cutting edge Boshin is an undeniably modern weapon. Textured TPR shrouds the handle for an ergonomic no-slip grip and the handle is crowned with an oversized polished steel pommel. The guard snubs fanciful ornamentation in favor of a practical pointed ellipse design. In keeping with the Boshin sword’s clean, functional motif, the scabbard is wooden with a semi-gloss black finish and features black faux leather wrapping and cotton cord. 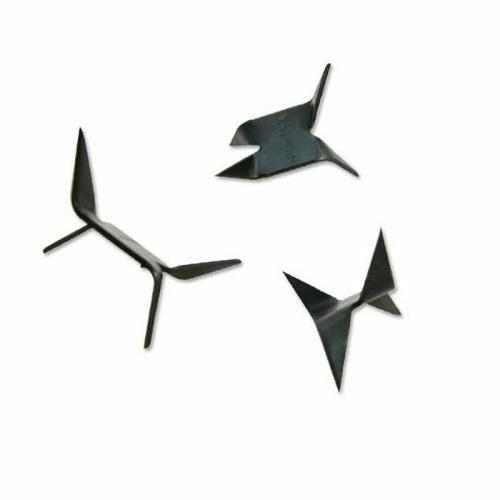 Wielding the Honshu Boshin Double Edge Sword is almost Zen-like – you just have to experience it for yourself! 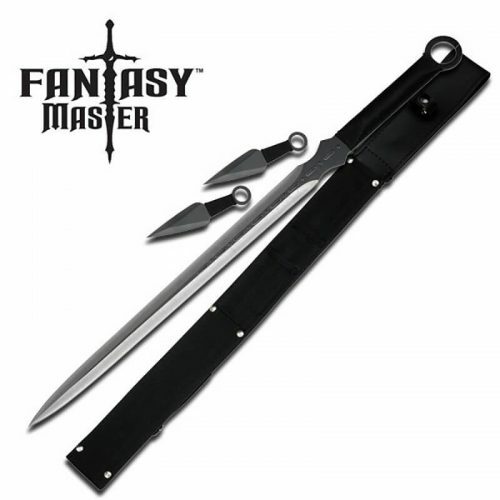 United Cutlery specializes in high value swords and weapons and is recognized as crafting the highest quality Movie Replica and Fantasy swords available. 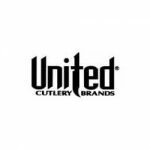 Unlike cheap replica copies sold elsewhere, Unitd Cutlery Replicas are well made, certified collector's pieces.